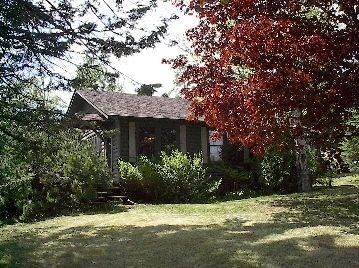 Charming Rental Cottage in Grand Marais . 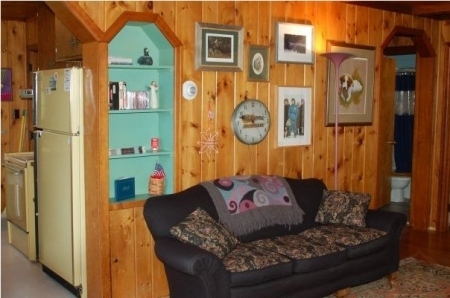 Wonderfully warm and cozy 2-bedroom/1-bath log-sided home with beautifully shaded yard and south facing deck. Just 1 block from Lake Superior and downtown Grand Marais, this home has a sweet view of the Grand Marais Harbor. Relax on the large deck, curl up in the day bed with a book, or explore the town on foot. 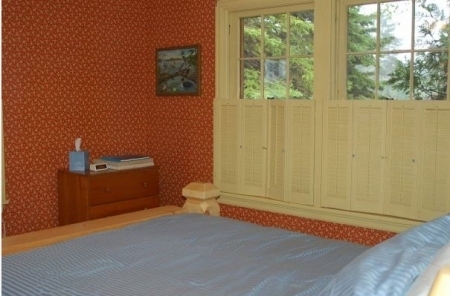 The Jackson House is located within just a few blocks of several choice Grand Marais restaurants, shops, museums, galleries, North House Folk School, the Grand Marais Art Colony, the Grand Marais Playhouse and Public Library. Enjoy the urban wildlife of Grand Marais or use the Jackson House as a base camp for adventuring into the BWCAW, onto Lake Superior, or to the ski slopes at nearby Lutsen Mountain. Maximum occupancy is (3-4) with a queen bed in the larger bedroom, single bed in the smaller bedroom and day bed in the living room. Located at 17 Fifth Avenue West in Grand Marais at the intersection of Fifth Avenue and First Street. From Highway 61 in Grand Marais, turn north up the hill on Fifth Avenue West. Go 1 block to the Jackson House. Off-street parking is accessed from First Street. See map. Check availability calendar to begin planning your trip. Read the Jackson House Rules Agreement . Dog friendly for well-behaved dogs under 40 lbs. with advanced approval and $10/day additional cleaning fee. 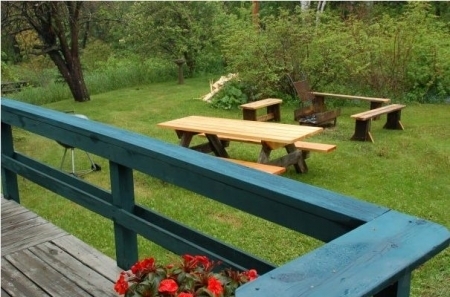 Summer/Fall 2010 Rates: $150/nt with 3 night minimum Weekends, Holidays and all of July/August. $100/nt Sun-Thur with 2 night minimum non-peak. Weekly Rate is $750 US. 2 night deposit is required at time of reservation with full payment due 30 days prior to arrival. 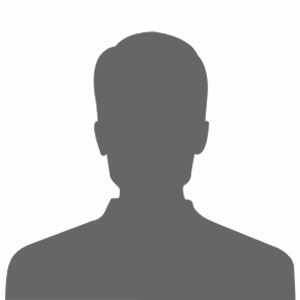 No refund after 30 days prior to arrival although leniency will be granted during the off-season or if property is re-rented for the same rate and time period. VISA, MasterCard, American Express and Discover will be accepted. 7.875% State Tax and 4.0% Local Lodging Tax both apply and will be collected. Amenities include deck, grill, TV w/VCR, Radio/CD player, High-Speed internet access, full kitchen, full bath, small library, sheets & towels, large yard, off-street parking, gear storage area.